As low as $27.68 per gallon! Agrisel ImidaPro 2SC Systemic Insecticide kills and controls over 100 different kinds of insects by both contact and systemic action. 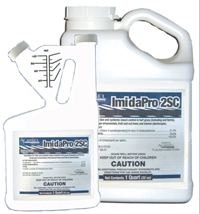 ImidaPro 2SC can be used by landscapers, homeowners, golf courses, nurseries and in and around greenhouses and athletic fields. Contains 21.4% Imidacloprid Insecticide. Same Active ingredient as Merit. Kills and controls over 100 differenct chewing and sucking insects such as grubs, mole crickets, etc. 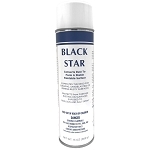 Can be used on lawns, nurseries, greenhouses, golf courses, and more. Mixes easily and has a low odor. Quarts are packaged in convenient to use “Tip N Pour” container for easy measuring and use.